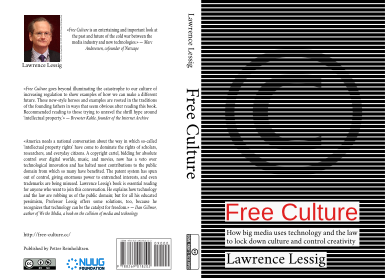 In 2004, as the Creative Commons movement gained momentum, its creator Lawrence Lessig wrote the book Free Culture to explain the problems with increasing copyright regulation and suggest some solutions. I read the book back then and was very moved by it. Reading the book inspired me and changed the way I looked on copyright law, and I would love it if more people would read it too. The Norwegian Bokmål version will be available for purchase in a few days. I also plan to publish a French version in a few weeks or months, depending on the amount of people with knowledge of French to join the translation project. So far there is only one active person, but the French book is almost completely translated but need some proof reading. The book is also available in PDF, ePub and MOBI formats from my github project page. Note the ePub and MOBI versions have some formatting problems I believe is due to bugs in the docbook tool dbtoepub (Debian BTS issues #795842 and #796871), but I have not taken the time to investigate. I recommend the PDF and ePub version for now, as they seem to show up fine in the viewers I have available. After the translation to Norwegian Bokmål was complete, I was able to secure some sponsoring from the NUUG Foundation to print the book. This is the reason their logo is located on the back cover. I am very grateful for their contribution, and will use it to give a copy of the Norwegian edition to members of the Norwegian Parliament and other decision makers here in Norway.